Be a daredevil and attempt the Newport Transporter Bridge zip slide. The launch point is 50 metres high on the bridge and takes you 320 metres into Coronation Park. All the money raised will go to Parkinson’s UK. 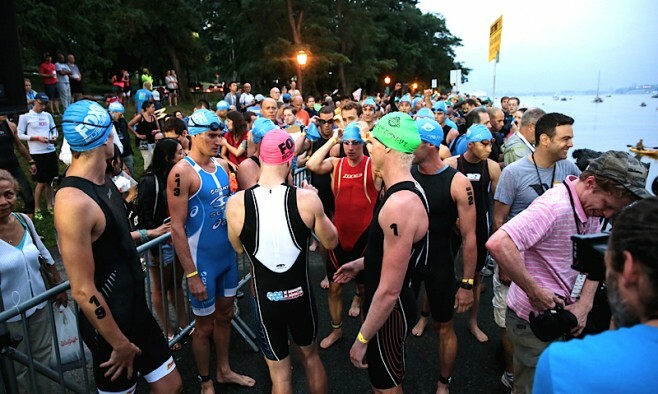 The one-mile dock-to-dock course is an opportunity to swim in an urban waterway. Suitable for swimmers of all abilities, you can enjoy this event safe in the knowledge expert safety kayakers will be with you every stroke of the way. Join Dr Chris Wilkinson to hear about this project, which will investigate how sticky proteins affect the cytoskeleton. If sticky proteins do interfere with the cell skeleton and transport network, this could open up a new route for scientists and doctors to approach treating Parkinson’s. Take a leisurely stroll around the lake then sit down for dinner and music by Toledo’s legendary ‘one-man’ band, Johnny Rodriquez. There will also be raffle for a chance to win a brand new Apple iPad and raise money for Parkinson’s causes. This year’s exhibition of winning works from the art competition showcases a total of 263 entries by 195 artists. Also on display will be the ‘This is Parkinson’s’ unique photo series by Norwegian photographer Anders M Leines. Join beer connoisseurs at this year’s Parkinson’s fundraiser. Nearly 40 sponsors have donated raffle and silent auction items, as well as five beer sponsors providing beverages. The inaugural Great British Pram Race will raise money for Parkinson’s causes. Bring along your pre-80’s buggy for the Vintage Pram Race, grab a group of mates for the Adult Pram race, or let the kids do the pushing in the children’s race. Brave the waters of the Hudson River in aid of Parkinson’s before biking along Manhattan’s West Side highway. Finally, athletes put on their running shoes for a run through New York’s famed Central Park in the final stage of the race. Prudential RideLondon. The 46-mile route on traffic-free roads begins at The Queen Elizabeth Olympic Park in east London and ends on The Mall by Buckingham Palace. All riders will receive a unique medal designed for the occasion.